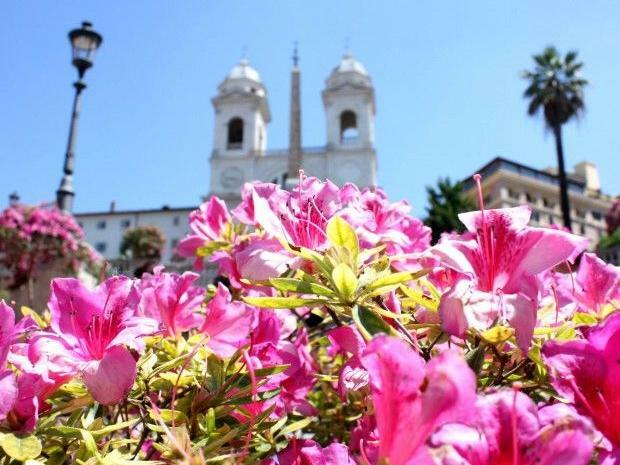 Pink Azaleas on the Spanish Steps As part of Rome’s birthday festivities and to celebrate spring, the Spanish Steps, a few minutes’ walk from all the Rome Luxury Suites, are covered in brilliant pink azaleas. For the first time you can see an extraordinary, immersive performance in the Sistine Chapel, with the multi-media theatrical show ‘Michelangelo and the secrets of the Sistine Chapel’, by Marco Balich, with music by Sting. The uppermost levels of the Colosseum are open for the first time in 40 years, only accessible via pre-booked guided tour. Palazzo Barberini, one of Rome’s great palaces-turned-art-galleries, has opened 11 formerly inaccessible rooms; visitors can also now descend down Borromini’s famous helicoidal staircase. Rome Concerts There are regular concerts and opera recitals this spring at stupendous venues such as the gilded Palacio Doria Pamphilj and the creepy Capuchins Crypt. Rome Opera Rome’s foremost opera and ballet company has a busy schedule this season, with highlights including the Merry Widow in April, and Puccini’s Tosca until 26th June, and Cinderella in mid-June.